Through accreditation a university and/or business school acquires an international reputation. Higher Education has the power to transform our societies and boost development. Dr. Escobar’s personal mission is to promote growth, improvement and innovation of institutions and initiatives in the sector. 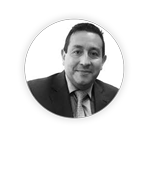 Dr. Escobar, the representative of the AAC in Latin America and the Caribbean has extensive experience in leadership, strategic management, innovation, and start-up of higher education institutions. His experience derives from his roles as rector of a well-established University (El Bosque University in Bogota) and the challenge of leading a startup higher education institution (Latin American School of Engineering, Technologies, and Entrepreneurs). Dr. Escobar is committed to ensuring excellence and quality improvement in higher education through adopting best practices, modernizing processes, innovating, implementing blended and online learning, supporting student success strategies and promoting digital transformation. Dr. Escobar will inform you about the opportunities and advantages of going through an accreditation process with the AAC. Dr. Hongmei Sziegat is an international trilingual academic researcher, a professional teacher, an expert in international accreditation and quality assurance, and a senior trainer for intercultural communication. She is also an independent educational consultant for quality management and educational management. She has developed her expertise in international accreditation and quality management in higher education, especially in the field of business programs and business schools. She is very active in the academic fields and has conducted research projects in collaborations with international scholars. As a representative of the AAC in China, South East Asia, Australia and New Zealand, her knowhow in accreditation will strongly support your university to continuously improve quality for sustainable development on the international level. 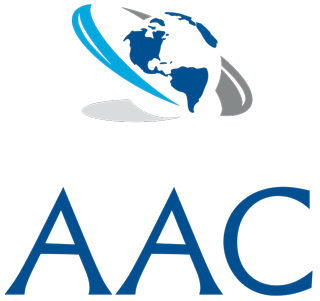 Your universities will benefit from accreditation with the AAC and the expertise of international experts. 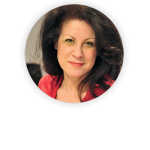 Dr. Frances Tsakonas is an ‘edupreneur’ who was born and raised Australia where she completed her primary and secondary education. She is a graduate of Harvard University, Graduate School of Education where she undertook advanced Post-Master’s (MPhil) specialist studies in Teaching, Curriculum and Learning Environments. She has also participated in two Executive programs at Harvard University – one at the Graduate School of Education in the Management of Lifelong Learning and one at JFK School of Government in Public Sector Administration. Frances holds a Royal Society of Arts Diploma in Teaching English as a Foreign Language (TEFL) and a Master of Education degree in Cross-Cultural Communication and Multicultural Education from Lesley University in Cambridge Massachusetts, USA. Frances also holds a Post-Graduate Diploma in Institutional Management and Change in Higher Education from CHEPS (Center for Higher Education Policy Studies) at the University of Twente, Netherlands, and a Doctor of Philosophy in Higher Education Internationalisation from the Institute of Education, University of London, UK. Dr. Tsakonas was recently awarded a Certificate in Consulting and Coaching for Change from Oxford University Saïd Business School and the degree of Mastère Spécialisé in Consulting and Coaching for Change by HEC Paris. Currently, Dr. Tsakonas is completing a Master’s level Diploma in Strategy and Innovation at Oxford University Saïd Business School and has been accepted into the Oxford Saïd Business School Executive Master of Business Administration (EMBA). Dr. Tsakonas has worked internationally for over 35 years with governments, institutions, and international organizations (World Bank, OECD, EU, ETF, British Council). Dr. Tsakonas is representing Western Europe, Eastern Europe, USA, Canada and India! 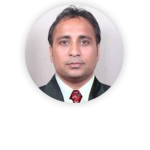 Dr. Muhammad Abdul Wahid Usmani is a renowned Quality Assurance Professional from Pakistan currently serving as a consultant for a renowned university in the kingdom of Saudi Arabia. He is a certified program assessor as well as a mentor of national & international accreditation of many colleges & institution. He is primarily focused on development & assessment of learning outcomes at various levels of program in higher education. Before joining his current assignment, he was serving as a Director of Quality Assurance Department for Dow University of Health Sciences, Pakistan. He established the QA department and trained the personnel for implementing QA measures. He also served as a Resource Person for Quality Assurance Agency of Higher Education Commission of Pakistan and provided consultancy to various Pakistani Universities on program evaluation, self study mechanism and program outcomes. Dr Usmani has been actively involved in Teacher Education and Program Evaluation projects both in the public and private sector and has conducted number of worktops on Assessment, Evaluation, Quality Assurance and Educational Research. He has also conducted several video conference sessions on areas related to quality assurance which were attended by a large number of university officials throughout Pakistan. Dr Usmani has written & presented several papers on Quality in national and international journals and conferences in the last few years. He is currently on editorial/reviewer panel of many international journals. 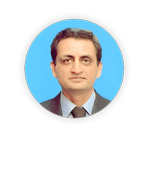 He is a regular article contributor on Linked professional network on areas pertaining to quality in higher education. Dr. Jaagz Bajaj has over seventeen years’ experience as a special envoy and board member in various governments and intergovernmental organizations. A globalist that enjoys challenges: this description summarizes Dr. Jaagz Bajaj perfectly. A political & communications consultant with over 15 years of experience in public and corporate affairs in India, the U.S., Canada, Asia, Europe and the rest of the World. Lobbying, branding, connecting people & businesses are part of his overall experience. Dr. Bajaj has extensive experience evaluating programs across a wide range of technical areas, including rural development, environmental and social issues and of course education. Dr. Bajaj conducts in-depth analysis of projects and is familiar with the reporting and evaluation needs of multiple organizations, including the UN, UNESCO, UNEP, UNDP, UNV, US-Aid, CIDA, ADB, UNGC, IUCN, EU, the World Bank and other international organizations. Dr. Jaagz Bajaj has occupied numerous positions serving in several countries. His posts have included Trade Ambassador, Economic Advisor, Country Head Goodwill Ambassador and Special Envoy. He has also served as a board member and professor in diplomatic academies, universities and intergovernmental organizations. Dr. Jaagz Bajaj has more than 80 nationally and internationally published articles and was a speaker at over 100 conferences and meetings over the past 17 years. Dr. Jaagz Bajaj has a doctorate in international affairs & diplomacy, a masters in sociology and is a graduate in computer engineering. He is fluent in English, Punjabi and Hindi and has a working knowledge of Albanian, Lithuanian, Georgian, Nepali, Marathi and Guajarati.